Translation provider as partner in your success | Language Solutions Inc. Translation Provider as Partner in your success…. 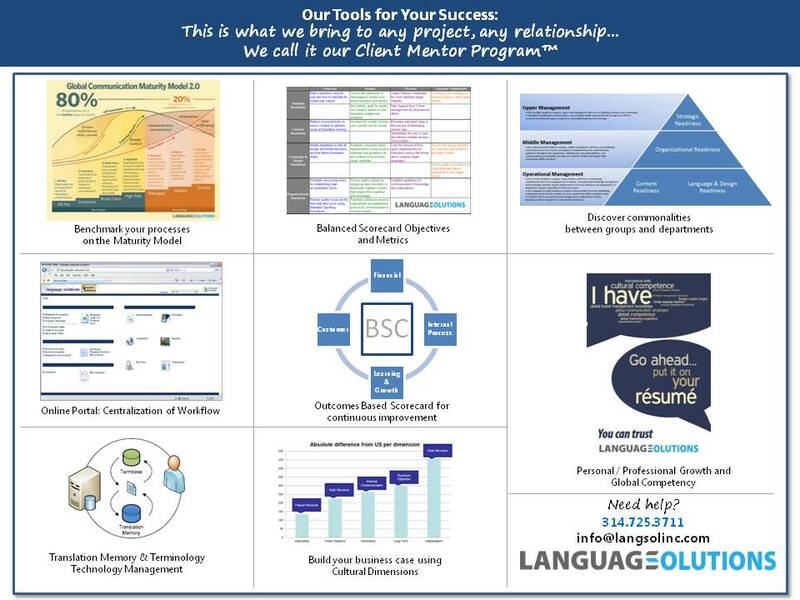 How can your Language Service Provider (LSP) be a partner in your success? What do you want from the companies that you partner with to make you successful? Organizations partner with many different kinds of vendors or establish alliances. We partner with various suppliers as well i.e. independent translators, software developers, network/technical support, etc. In our company, we follow Baldrige for Performance Excellence and we have learned and embraced that we need to support our partners in understanding what we need from them and we can be as creative as want to do that as Baldrige is not a prescriptive quality standard such as ISO 9001:2015. Take for example our translators – we provide them personalized training on software that they use (the better they understand it, the more it affects overall quality). We also help them grow their business in various ways as well, whether it is helping them with their own ISO Certification or to implement better financial decisions and the process to do so. Here we are in 2015 and we have a variety of tools that we offer clients toward partnering with them in their success. We don’t charge for these tools. They are an extension of our excellent customer service and when our clients are successful, we are too. Oh and Baldrige in Category 3….also has us focus on the customer and prove that focus in any creative way we can. This was our idea of how we fine tune that focus. Consider your translation provider as a partner in your success. If they are not focused on your success, you are missing out on what could be ….give us a call. We’ll focus on you.